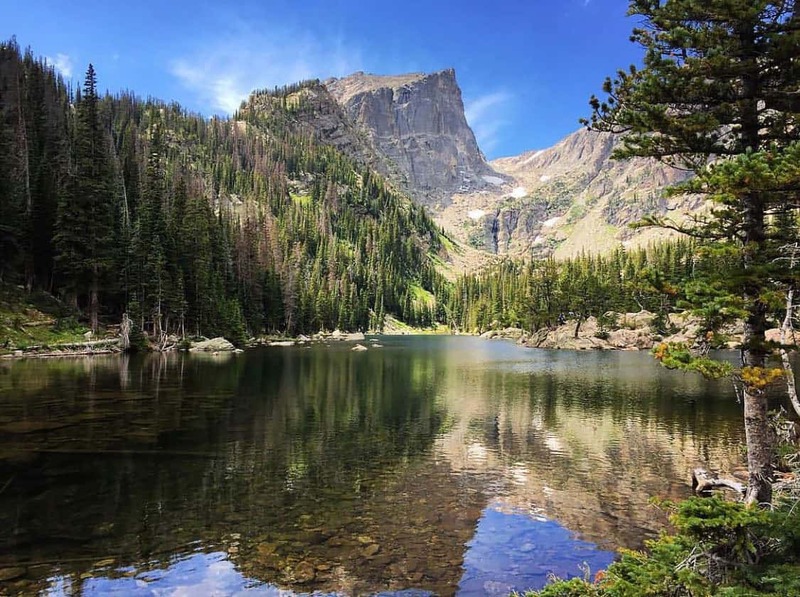 With 415 square miles of spectacular mountain landscape and 300 miles of hiking trails, Rocky Mountain National Park is a premium destination for high-altitude backpacking. Rocky Mountain National Park offers something for everyone. 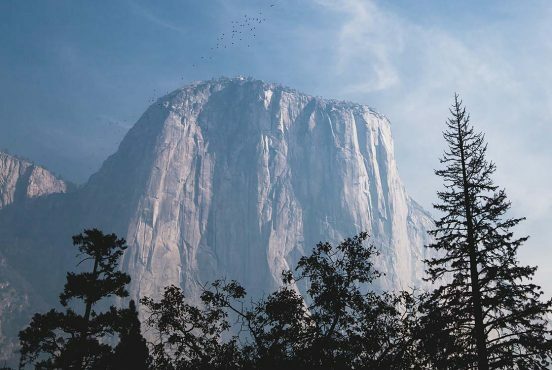 There are countless peaks beckoning adventurous mountaineers, epic cliffs and walls for climbers, and a vast network of hiking trails for every skill level. The park is a paradise for birding and wildlife viewing, and a mountain oasis for fly fishers. Bring your mountain bike for some epic trail riding, or saddle up and take in the trails on the back of a horse for a truly unique experience. 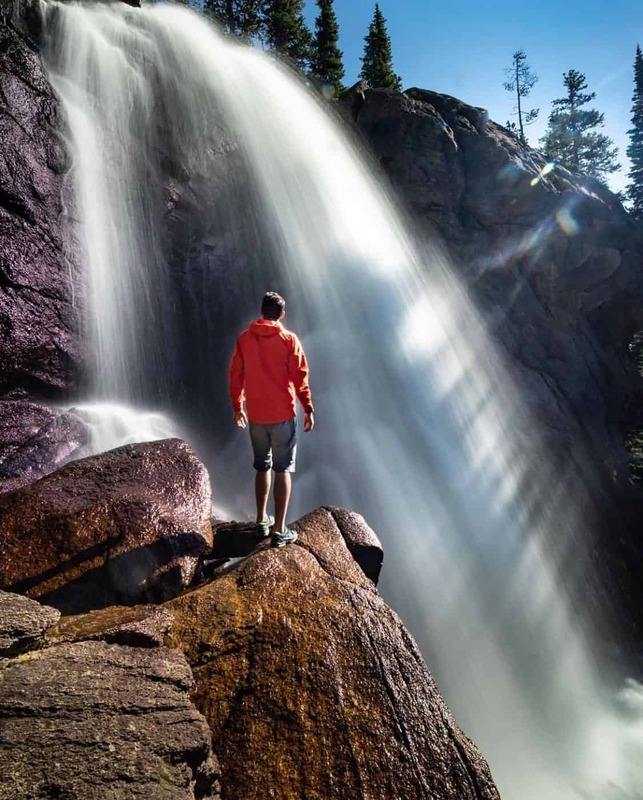 Hiking is the most popular activity in the park, so we’ve compiled a list of the best hikes throughout Rocky Mountain National Park to help you plan your daily adventures. 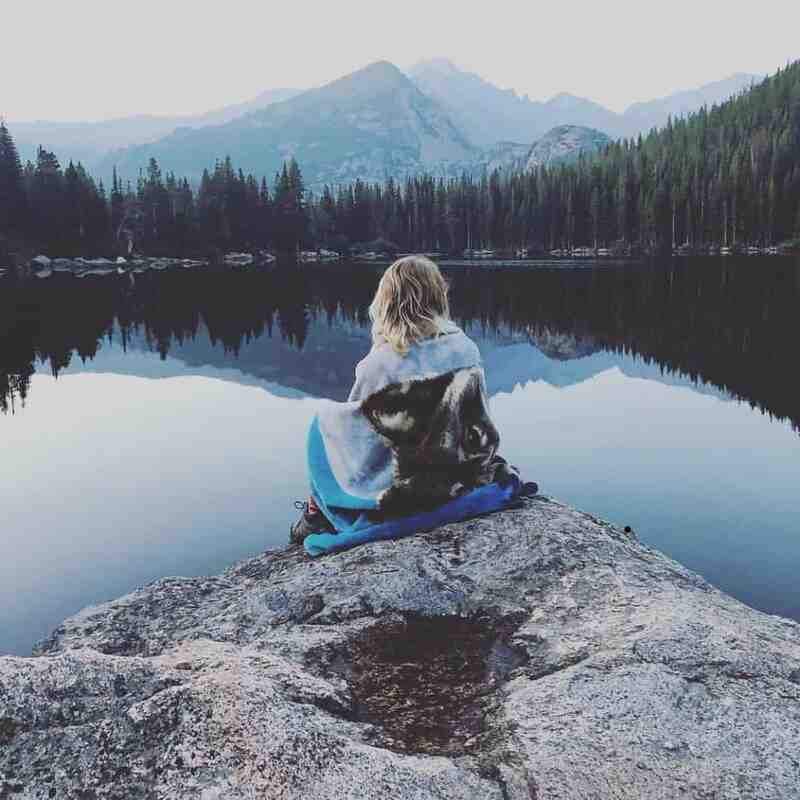 Why you should go: A photographer’s dreamscape with pristine alpine lakes surrounded by rocky peaks. Arguably the most popular hike in Rocky Mountain National Park, the Emerald Lake Trail is a relatively easy hike for all skill levels. 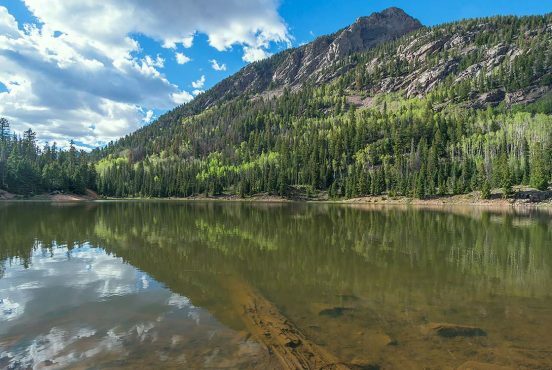 You’ll visit Nymph Lake, Dream Lake, and Emerald Lake along a scenic trail that offers views of Glacier Gorge, Flattop Mountain, and Hallett Peak. Bring your camera for some epic landscape shots, and keep an eye out for the local wildlife and birds. Given all of the lakes and rivers along this trail, the Emerald Lake Trail is an excellent choice for sport fishing. Just be sure you square away your licensing and fees in advance. You’ll find the trailhead for this out-and-back hike at the end of Bear Lake Road. The elevation gain is fairly minimal, and the first half-mile of the trail is paved. The trail is open year-round, though the best time to visit is April to November. Looking for a shorter scenic stroll? You can shave a little over a mile off the Emerald Lake Trail by following the two-mile Dream Lake Trail instead. You won’t get to enjoy Emerald Lake, but the shorter trail still includes Dream lake and Nymph Lake. Why you should go: A challenging but rewarding climb with stops at Alberta Falls, Loch Vale, Timberline Falls, the Lake of Glass, and Sky Pond. The first stop on the strenuous Sky Pond Hike is Alberta Falls, a scenic 30-foot waterfall that thunders down a small gorge in Glacier Creek. 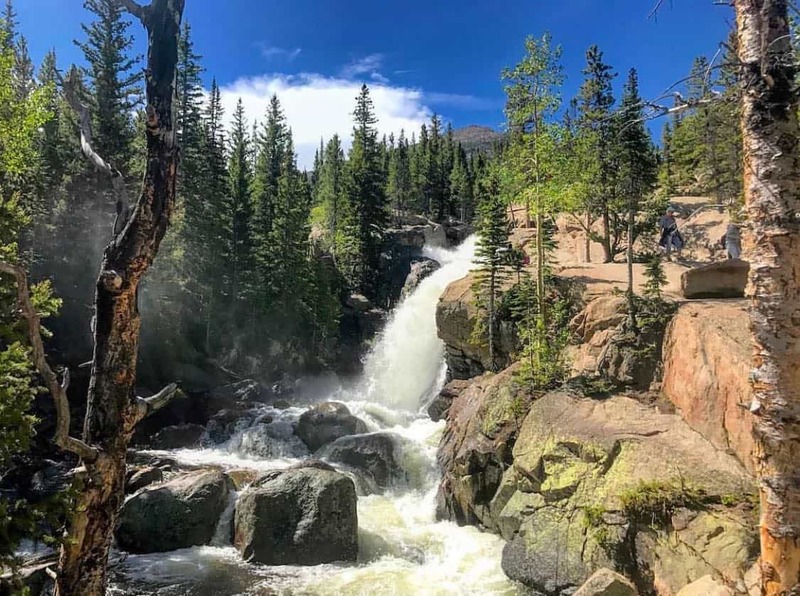 This is one of the most popular destinations in Rocky Mountain National Park, so it’s best to hit Alberta Falls early if you want to beat the crowds. Next up is Loch Vale, aka The Loch. The subalpine lake is surrounded by Taylor Peak, Taylor Glacier, Thatchtop Mountain, and The Sharkstooth, offering breathtaking views in every direction. You’ll start to see Timberline Falls about 3.9 miles into the hike. Take a deep breath, rest up, and rehydrate, because this is where the trail starts to get hairy. You’ll climb a series of rock steps to the base of Timberline Falls, where the main portion of the waterfall drops 100 feet and cascades down to the valley below. If you stop and look across the valley, you can see The Loch in the distance. The trail continues up a chute to the right of Timberline Falls. Be prepared for a challenging scramble up 100 feet of rocks and boulders, with water flowing through several portions of the climb. At the top you’ll find the Lake of Glass (aka Glass Lake), a gorgeous alpine lake with spectacular views of Powell Peak, Taylor Peak, and The Sharkstooth. After catching your breath, follow the rocky trail along the west side of Glass Lake until you reach Sky Pond. The scenic lake sits at 10,900 feet above sea level, and is surrounded on three sides by sheer cliff walls. If the prospect of scrambling and climbing sounds too much, you can still hit most of the highlights from this hike on the Loch Lake Trail. This moderate, 5.4-mile hike cuts Glass Lake and Sky Pond from the itinerary, but still takes you to Alberta Falls, Loch Vale, and Timberline Falls (though you’ll view the latter from a distance). 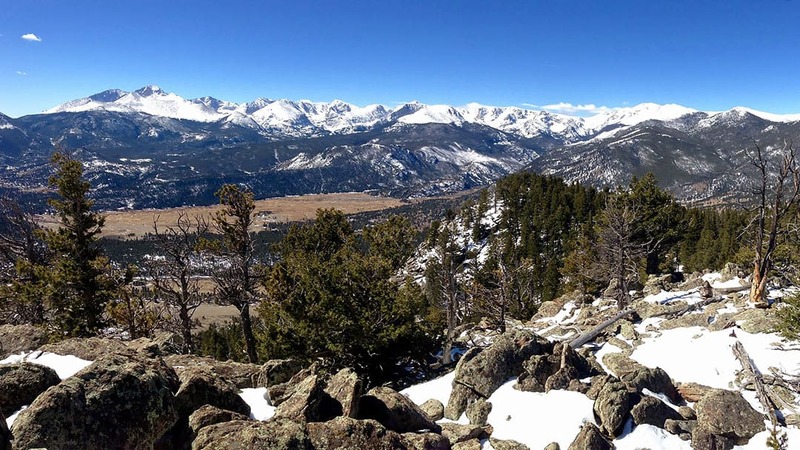 Why you should go: A short out-and-back hike with spectacular views of Estes Park and beyond. The Gem Lake Trail is a relatively short hike that starts just outside the town of Estes Park. From the Lumpy Ridge Trailhead, you’ll ascend the southeastern portion of Lumpy Ridge — a giant granite rock outcropping sculpted by 1.8 billion years of wind and water erosion. The first portion of the Gem Lake Trail takes you through a narrow canyon, and crosses the northeastern corner of the historic MacGregor Ranch. There are plenty of aspen groves in the area, making this an excellent fall hike. As the trail begins to ascend Lumpy Ridge, you’ll enjoy the first of many scenic vantage points. There’s plenty to see right in front of your nose, too, as the trail is littered with large boulders and fascinating rock formations. Keep an eye out for a particularly interesting rock formation called Paul Bunyan’s Boot around the 1.4-mile mark. The climb to Gem Lake can get a little steep at times, but it’s worth the effort for the panoramic views when you reach the top. 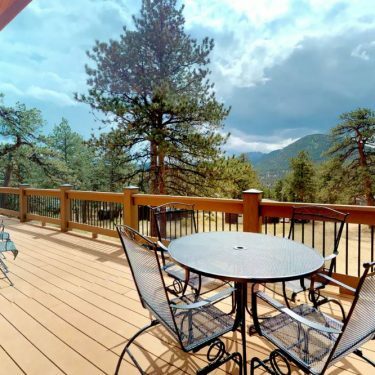 You’ll enjoy spectacular views Estes Park, Longs Peak, Mount Meeker, and the mountains along the Continental Divide. When you reach Gem Lake, you’ll quickly notice that there aren’t any inlets or outlets. That’s because Gem Lake is actually formed by rainwater and snowmelt that collects in a basin carved into the granite cliff walls. Why you should go: Easy stroll to an impressive waterfall — a lot of bang for your buck. The Alberta Falls Trail is a family-friendly hike that’s great for all skill levels. 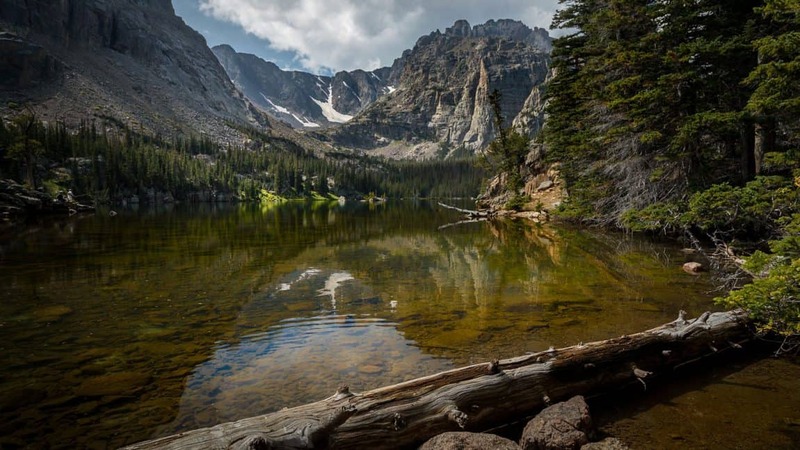 It’s one of the most popular hikes at Rocky Mountain National Park, so it’s best to start early if you want to beat the crowds. The out-and-back hike begins at the Glacier Gorge Junction trailhead. You’ll follow the creek for a while before passing through pine forest and aspen groves, with the latter making this a fun fall hike. The first scenic vantage point is about a half-mile in. From the rock ledge you’ll enjoy a great view of Glacier Gorge and the surrounding area. After appreciating the view, follow Glacier Creek for a short distance to Alberta Falls. Alberta Falls is a beautiful 30-foot waterfall that follows a granite chute down a small gorge on Glacier Creek. It’s considered one of the best waterfalls in Rocky Mountain National Park, so it’s definitely worth taking your time here. The surrounding area is fun to explore and excellent for picnics. When you’re done exploring Alberta Falls you can turn around and head back to the trailhead, or you can continue along the trail to see The Loch, Mills Lake, Lake Haiyaha, Black Lake, and more. The trail becomes a little more difficult going forward, but the views are worth the effort. Why you should go: A waterfall extravaganza with Copeland Falls, Calypso Cascades, and Ouzel Falls. The Ouzel Falls Hike begins at the Wild Basin Trailhead, a fairly remote location in the southeast corner of Rocky Mountain National Park. It’s a bit of a drive to get there, but it’s worth it for a fun hike with several waterfalls. The first stop on the Ouzel Falls Hike is Lower Copeland Falls. There’s actually a side trail that breaks from the main trail to take you there. The side trail then follows North St. Vrain Creek to Upper Copeland Falls before reconnecting with the main trail. You’ll pass an unnamed waterfall just before you reach Calypso Cascades. The 200-foot waterfall is particularly exciting to witness in the spring and summer when there’s plenty of rainwater and snowmelt. Heading above Calypso Cascades the landscape begins to open up, offering views of Mount Meeker and Longs Peak to the north. 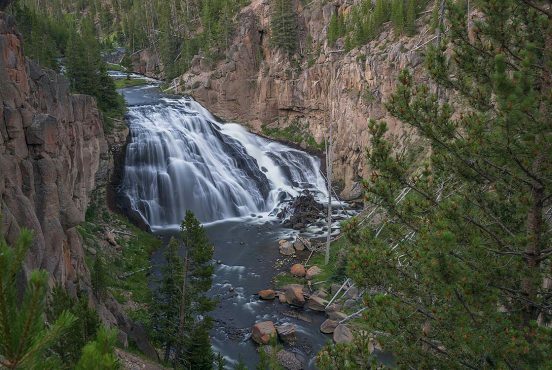 You’ll eventually reach Ouzel Falls, an impressive 40-foot waterfall that’s a crowd favorite at Rocky Mountain National Park. You can see the falls from the footbridge, but we recommend bushwhacking off-trail to see it up close. Most people turn around and head back at this point, but you can continue along the trail to Bluebird Lake, Ouzel Lake, and Thunder Lake if you’re feeling adventurous. 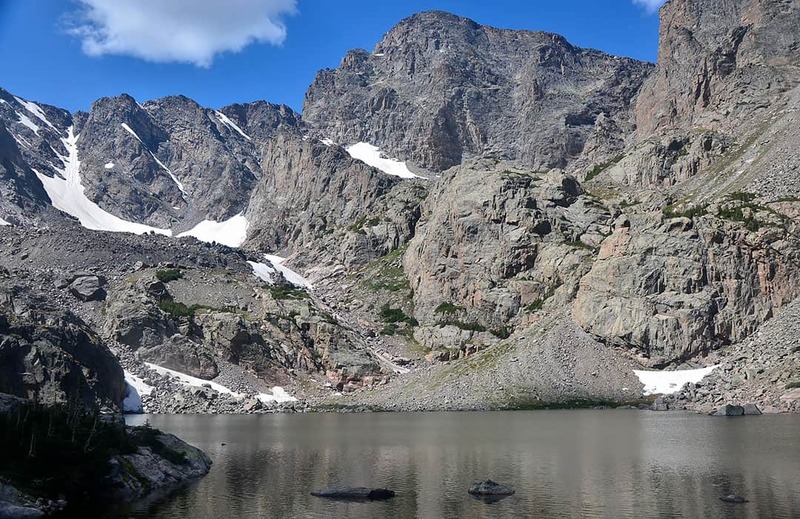 Why you should go: An alpine lake with spectacular scenery at the base of Longs Peak and Mount Lady Washington. The Chasm Lake Hike begins at the Longs Peak trailhead near the ranger station. Parking is limited and fills up quickly on weekends, so it’s best to hike Chasm Lake on a weekday. If you go on a weekend, try to get there as early as possible. Following the East Longs Peak Trail, you’ll climb through thick forest of fir, spruce, and Lodgepole pine for a little over two miles. When you emerge from the forest into the subalpine zone at 10,750 feet, take note of the krummholz — the twisted, stunted, and irregular growth patterns in transition zone trees. After 3.4 miles, you’ll split to the Chasm Lake Trail. From here, the trail traverses southwest along the wall of a deep gorge. 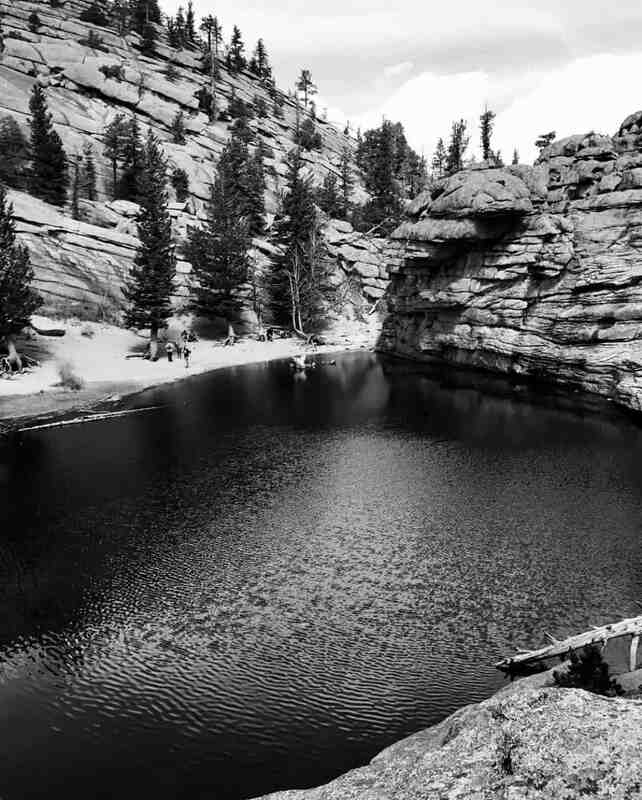 You’ll enjoy a birds eye view of Peacock Pool and Columbine Falls before the trail passes over a waterfall and emerges into a small alpine basin. Take a breather at the basin, because the final stretch of this hike can be quite challenging. To ascend the headwall that forms Chasm Lake, you’ll need to scramble up the rocks for about a quarter of a mile. Look for cairns to identify different routes up the boulders. When you finally reach Chasm Lake at 11,823 feet, find a place to catch your breath and appreciate the spectacular scenery. Chasm Lake sits in a deep cirque at the base of Longs Peak and Mount Lady Washington, with the 2400-foot Diamond wall dominating the immediate scene. From this vantage point, you should be able to see Mount Meeker and the Keyboard of the Winds. Why you should go: A family-friendly nature walk around a subalpine lake with mountain views in every direction. The Bear Lake Nature Trail is an easy, paved trail that’s great for all skill levels. Given the spectacular mountain views and the paved trail’s proximity to parking and shuttles, this is a popular hike for young families. Before starting the Bear Lake Nature Trail, purchase an interpretive guide from the Rocky Mountain Conservancy near the trailhead. The booklet provides natural, geological, and historical background information for 30 marked spots along the trail. You’ll want to proceed counter-clockwise if you want to follow the markers in order. 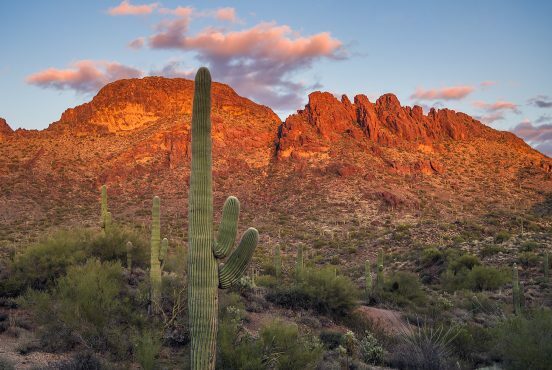 We recommend starting this hike early in the morning. 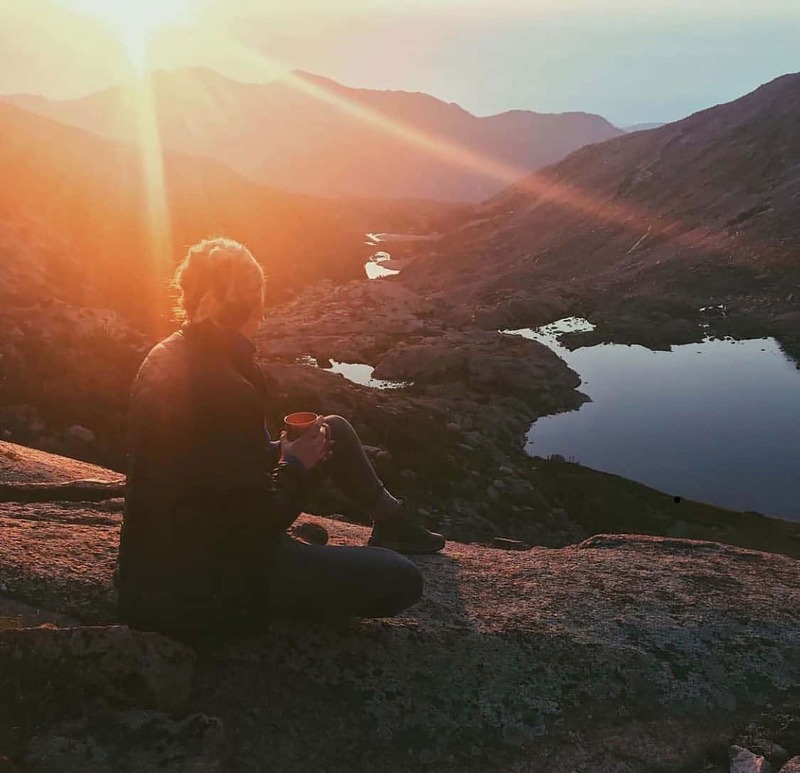 Starting early will help you beat the crowds, and you can snap some amazing photos of Longs Peak and Hallett Peak reflecting off the glassy lake. You’ll enjoy the best view of Hallett Peak near the beginning of the loop on the eastern shore, and a great view of Half Mountain from the north shore. Why you should go: Reach the two summits of Twin Sisters Peaks and enjoy commanding views of Rocky Mountain National Park from 11,400 feet. Ready to summit your first peak in Rocky Mountain National Park? How about two in a single hike? The Twin Sisters Peak Trail starts at the Twin Sisters Trailhead near Lily Lake. The hike actually takes several detours into Roosevelt National Forest, and includes a section across a major landslide area from the devastating September 2013 flood. 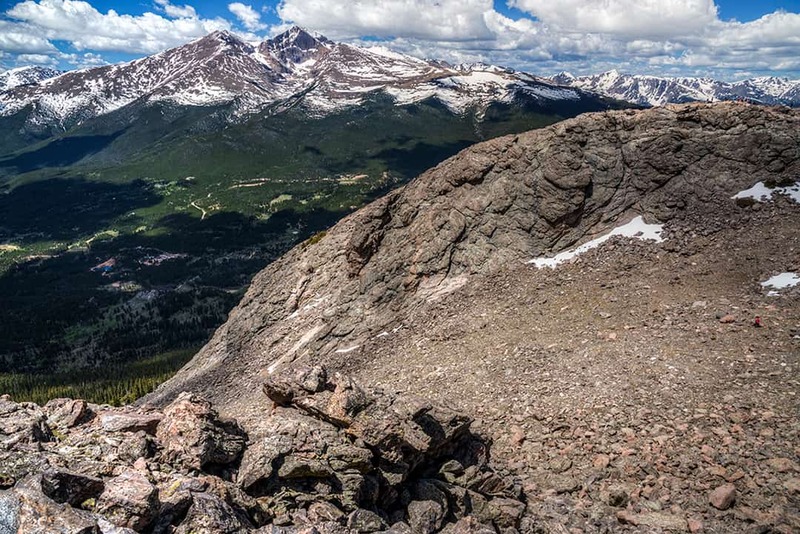 The first viewpoint is about a mile into the trail, with an overlook affording views of Estes Cone and Longs Peak. The forest gradually thins as you rise in elevation, offering additional views of Lily Mountain, Taylor Peak, Powell Peak, and Mount Meeker. When you reach the tree line at 11,000 feet, you’ll enjoy the first unobstructed views of your ultimate destination — the Twin Sisters Peak summits. The terrain becomes progressively more rugged from here, so you may want to bring along your trekking poles for this portion of the trail. You’ll have an opportunity for a quick breather at the saddle between the east and west peaks about 3.4 miles into your hike. Both peaks are accessible, though West Twin Sisters Peak is a bit easier to ascend. Either way, there’s some minor scrambling required with faint trails marked by cairns. Why you should go: A summit hike that even your kids handle. Topping out a little over 10,000 feet, Deer Mountain is one of the easiest peaks to summit in Rocky Mountain National Park. Many hikers use this as a warmup before attempting to summit loftier peaks in the park, and it’s totally doable for hiking-age kids. The first mile of the Deer Mountain Trail takes you through open country. Keep an eye out for elk and deer in the meadows. 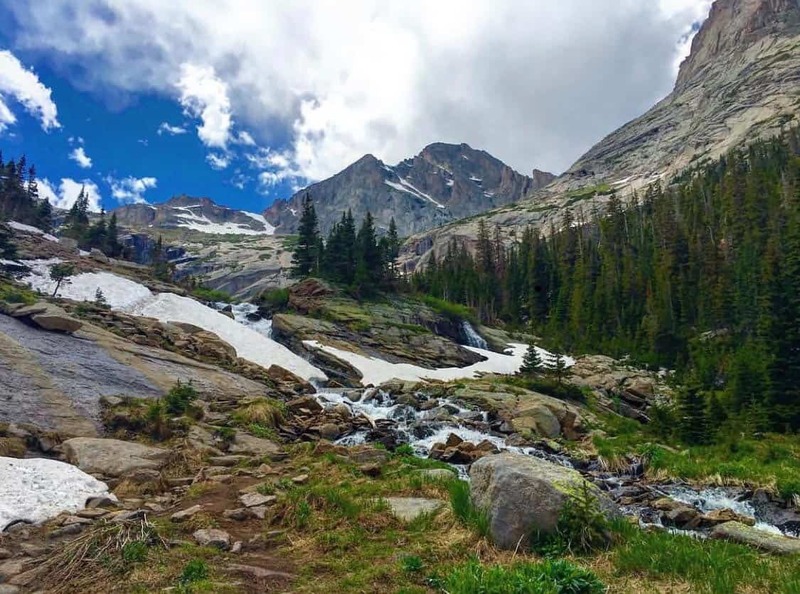 You’ll enjoy views of the Mummy Range and Little Horseshoe Park early on, followed by views of Hallett Peak, Longs Peak, Moraine Park, and the Continental Divide further along. The summit of Deer Mountain offers outstanding panoramic views of the surrounding area. From this vantage you can see Estes Park, Moraine Park, Hallett Peak, Longs Peak, the Mummy Range, and all the mountains along the Continental Divide. Why you should go: A challenging climb through Glacier Gorge to pristine lakes and waterfalls. The first stop on the Mills Lake, Black Lake, Frozen Lake Trail is Alberta Falls, one of the best waterfalls in the entire park. We’ve already touched on Alberta Falls in previous sections so we’ll spare the details here, but suffice it to say this will be one of the major highlights on your journey. After Alberta Falls you’ll cross Vale Brook to reach the majestic Glacier Gorge. Before you cross the footbridge over Glacier Creek, take a few minutes to follow the social trail to your right for about 40 yards to reach the base of Glacier Falls. The next stop is Mills Lake, a gorgeous subalpine lake nestled below Half Mountain. Standing on the eastern shore, you’ll enjoy spectacular views of the Keyboard of the Winds, Thatchtop Mountain, Chiefs Head Peak, and Pagoda Mountain. The lake itself is named after Enos Mills, the father of Rocky Mountain National Park. You’ll pass Jewel Lake on your journey to the next big destination. This is a particularly great spot for landscape photographers, offering an impressive mountain backdrop. The marshes in the area are also filled with moose, so keep an eye out for these giant, majestic creatures. When you reach Ribbon Falls, the trail climbs up the eastern flank of the waterfall to reach the foot of Black Lake. This pristine alpine lake fills a deep cirque basin carved into the base of Chiefs Head Peak and McHenrys Peak. The Arrowhead and the Spearhead are also nearby. Most hikers stop here as the official trail ends at Black Lake. Reaching Blue Lake, Green Lake, and Frozen Lake requires following social trails that are often faint and marked by cairns, so it’ll require some excellent trailfinding skills and climbing. Given how hard it is to reach these final three lakes, you’ll be able to enjoy the magnificent scenery in quiet solitude. Keep in mind that this lengthy trail can be broken down into a number of shorter hikes, including the Alberta Falls Trail, Mills Lake Trail, and Black Lake Trail. It’s easy to adjust your hike if you decide you don’t want to make the 5.5 mile journey to Frozen Lake. 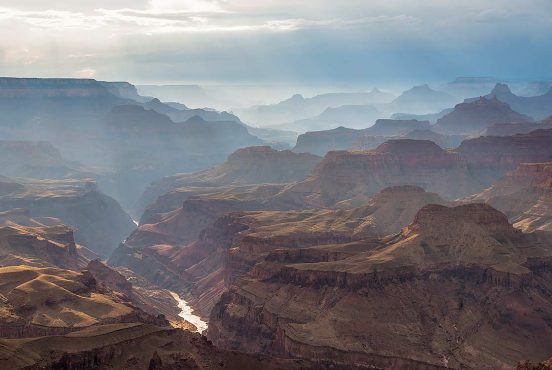 In a grizzled true story detailed in his book Over the Edge: Death in Grand Canyon, Michael P. Ghiglieri recounts a close-encounter involving a rattlesnake coiled up on a woman’s chest as she slept while camped along the Colorado River while guiding a rafting trip in 1987. The woman's friend noticed the serpent's temporary sleeping arrangement and alerted Ghiglieri to the situation. 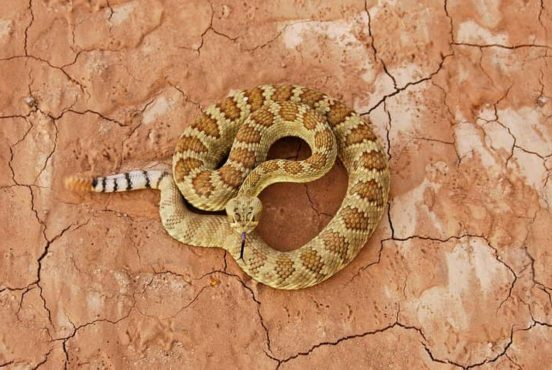 Thinking on his feet, he used an 18-inch long folding shovel to remove the rattler from the woman’s chest without anyone suffering a snakebite — or even a disturbance of the woman’s sleep. Don’t let the name give you the wrong impression. 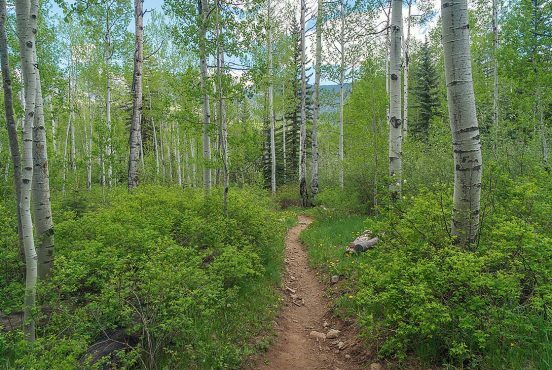 A hike on the Purgatory Flats Trail is anything but purgatory —unless you start sucking air due to the high elevation! 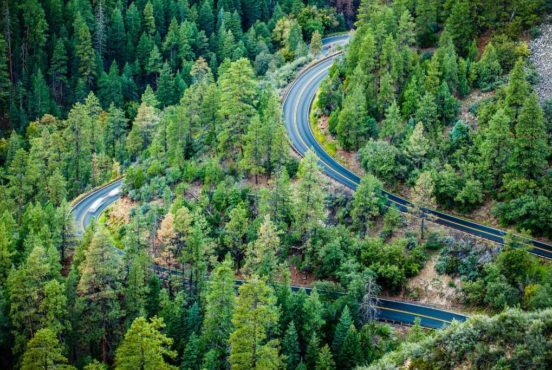 If you are hanging out in and around Durango and gearing up to travel the absurdly scenic Highway 550, this is a fantastic option for a short, easy day hike. Is there anything more disappointing than an awesome specimen of a mountain with a name that's just downright lame? On the flip side, isn’t there something inherently satisfying when a badass mountain has a badass name too? Look at a topographic map of the mountainous terrain above Durango and you are certain to see an excess of high altitude lakes. Many have trails going right to them, but most of these are demanding hikes, especially for the casual hiker. However, those seeking a shorter excursion to a backcountry pool are in luck. Clocking in at 2 miles round-trip and 400 feet of elevation change, the Potato Lake Trail is an easy hike to a beautiful backcountry lake. Oh, and by the way, if you want to sound like local, call it Spud Lake instead of Potato Lake!